Gary, your employees did a great job; very neat. There are many different types of condensers on the market. No matter the type, a condensing unit is used for basically the same function, to transfer heat from an interior space or machine to the exterior and out, causing the area to be cooled. A condensing unit is an essential element of any A/C system. 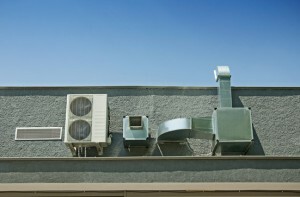 Central air conditioning systems use a condenser unit made up of three basic parts. The heat exchanger cools down incoming refrigerant vapor and condenses it into liquid. Moving that refrigerant through the system is a compressor that raises the pressure to keep the liquid flowing. Finally, there is a fan that blows air from the outside through the heat exchanger to help cool the refrigerant. A condensing unit is a major part of the system that keeps your home or office cool. They are typically kept out of sight, but they should not be kept out of mind. There is a slightly complicated science behind how these units work, and that means that there is always the possibility of an issue arising. You may want to do regular checkups on your unit to make sure it is in the best shape possible. If anything goes wrong, we are happy to help fix any problem. If you just want a new condenser unit, we can do that too! We carry brands such as Trane, Lennox, Carrier, Goodman and others. Contact us for more info, or to set up an installation!